If there’s one quest that unites nearly everybody, it’s the search for the fountain of youth. When I talk to most people about their health, I find I learn a lot about the things they want to do to look younger, feel younger, be healthier, live longer, and enjoy life for as long as they can. The avenues people choose are innumerable and broad; some center their efforts on diet and exercise, while others opt for creams, soaps, or hair dyes, and others look to clothing or surgery to create a younger image. No matter what you choose, it’s all about feeling younger, looking younger, and extending your life. Now, some of these methods work better than others. For example, a lifestyle based on healthy choices will likely give you a better chance at extending your life and making it more active and enjoyable than buying trendy clothes or getting a facelift. Adopting a lifestyle that includes healthy nutrition and exercise is associated with a reduced risk of disease, increased longevity, and an overall greater quality of life. On the other hand, lifestyles that are sedentary tend to go hand-in-hand with poor nutrition and habits like smoking and excessive alcohol use, and they are more likely to increase your risk of disease, cut short your lifespan, and decrease your quality of life. Take Hendrikje (“Henny”) van Andel-Schipper, for example. In 2005, she died in her sleep at the age of 115. Andel-Schipper died from gastric cancer, which is a relatively uncommon condition for an elderly person. She also had no trace of dementia, a disease that affects so many people as they age. Following Henny’s death, scientists ran extensive tests to find out how she lived so long, hoping to uncover the key to human longevity. What the doctors uncovered was released in a report that I came across in the paper the other day. They found that Henny had a superior immune system. Her stem cells were very strong, excellent for fighting off infection and genetic mutation. This seems to be a major physiological factor in her longevity. However, I also read that the lead doctor responsible for the study indicated that more research is required to see if the work can offer any practical ways of extending human life, but noted that a common trait of people who live to be 100 years old or more is their ability to forgive. This commonality suggests that people who have a positive outlook are more likely to live longer. The doctor said that these people tend to focus on the positive when something bad happens, rather than letting negative outcomes affect them. What other life choices may have affected Andel-Schipper’s longevity? Well, it seems she chose a bicycle as her preferred mode of transportation and proclaimed that eating a serving of herring every day, not smoking, and limiting alcohol were the keys to her longevity. But then again, everybody has their own secret. For example, my friend’s grandfather attributes his age to always eating dinner while standing! Nevertheless, Henny’s choices were in line with what we hear most often—and what I always am recommending my readers put first: an active lifestyle and a healthy diet. 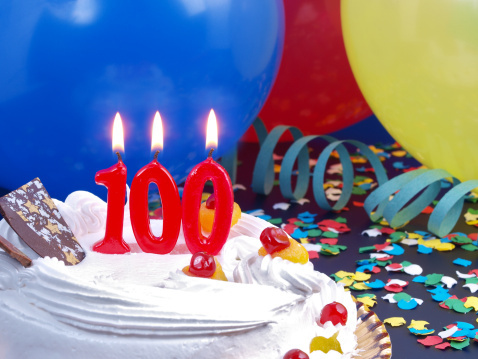 Longevity is ultimately about you making choices to cut your risk of disease. Because of genetics, it’s unrealistic to believe that most people will make it to 115. At the end of the day, genetics play a big role in our physical capabilities, our bodies’ responses to infection, and how long we might live. Henny’s immune system was basically the Michael Jordan of immune systems. That being said, genetics are one factor in longevity; they are not the ultimate determinant. The choices you make and the outlook you have on life play a role, too. If you’re looking to extend your life—and improve its quality—start eating better, exercise, and let go of your old grudges! Edwards, P., “Blood from world’s oldest woman offers longevity clues,” Toronto Star web site, May 5, 2014; http://www.thestar.com/life/2014/05/05/blood_from_worlds_oldest_woman_offers_longevity_clues.html.